Girl porcelain figurine, Porcelain sculpture depicting a young girl, Diletta, height 17,5cm (6.9 in), Wonderful porcelain sculpture, entirely handmade in Italy. 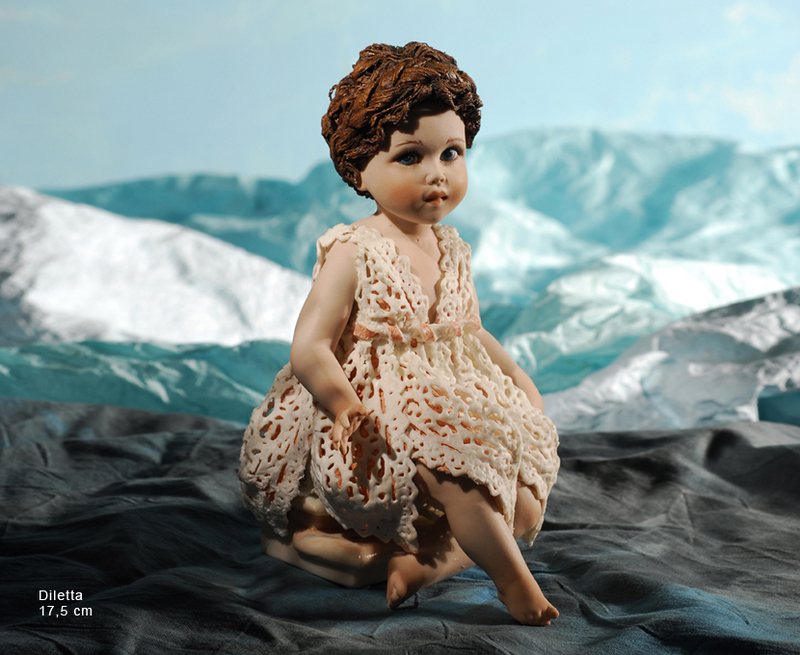 Porcelain sculpture depicting a young girl, handmade enamel, hair, clothes, all porcelain. Wonderful porcelain sculpture, entirely handmade in Italy by master craftsmen of the sculpture. -Height: 17,5 cm (6.9 in). -Title: Diletta - Girl Porcelain figurine. -Material: Porcelain, biscuit, firing at 1280 ° C, baking third fire (color) to 950 °. Unique work, sculpture comes with original box and certificate. -Company: Sibania. leader in Italy in the production of dolls and sculptures in porcelain biscuit. Materials research and the evolution of the art of the craft has led to develop this sculpture as a new way to realize the porcelain figures.